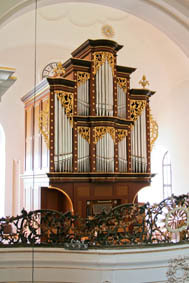 The organ in the church of the former Velesovo monastery, built in 2007, represents the most consistent attempt so far in Slovenia to construct a new organ that would permit an authentic performance of the organ works by Johann Sebastian Bach and his contemporaries from Central and Northern Germany. The selection of music, recorded on this CD, has been made accordingly. 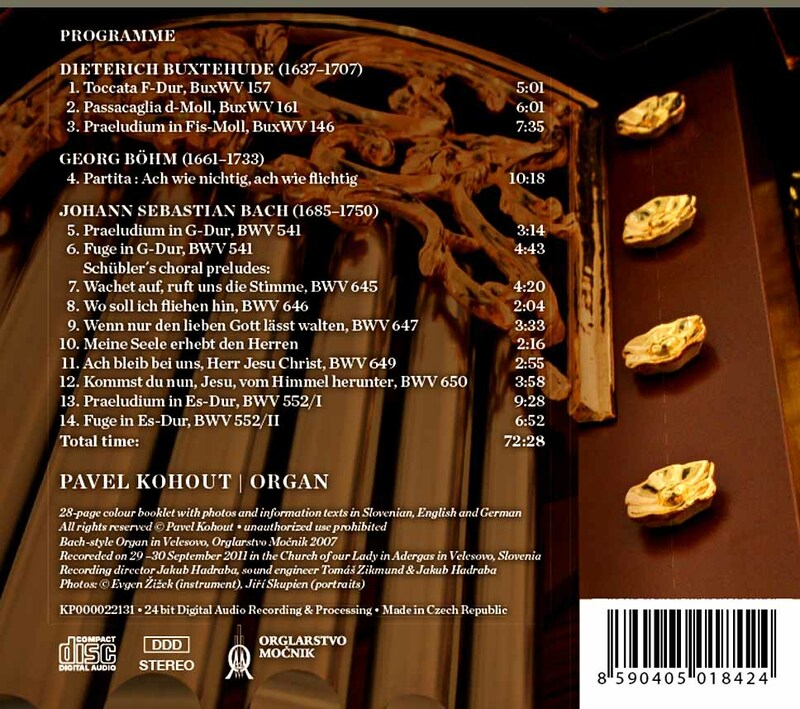 It comprises works of three baroque composers, who, each in his own way, defined musical style in the second half of the 17th and in the first half of the 18th century, and also made an essential contribution to organ music. The selection of composers, also, is notable owing to the personal contact young Bach had with two important representatives of the North German organ school. Between 1700 and 1702 Bach went to school in Lüneburg, where, among others, he met with the then organist of the city's main church, Georg Böhm, and presumably received some organ lessons from him. A few years later, when he was already the organist in Arnstadt, Bach travelled to Lübeck for a couple of months in order to hear the renowned organist of St. Mary's church, Dieterich Buxtehude, and to take part in his famous Advent concerts, the Abendmusiken.